Jennifer Jean Miller on the beat. Image courtesy of Jennifer Jean Miller. SUSSEX COUNTY, NJ – It all started with a dream in 2013…after working with other publications for so many years, some people close to me suggested that I start my own. And I took that advice in stride, especially after a business partner went wrong who defrauded me out of a number of things, including every dime owed to me for stories I’d written for our venture for more than a year…think about how many dimes that is since I was swindled out of about $20,000. So I picked myself up after this setback (I’m a “never quit” type of person) and started InsideScene.com (also known as NJ Inside Scene) with a mission and a grassroots effort – to deliver quality, objective news reporting as I had with that project, as well as the other news organizations I juggled multiple assignments with (at one time it was three!). InsideScene.com started from zero and now there are about 26,000 unique visitors to the site monthly, who visit nearly every day! And every day it continues to grow. Not only do I share press releases and event information from around the area, I also write many of my own stories to keep people informed, from local events, to extraordinary kids to investigative reporting and more. I give back to my community on a daily basis with this site. I’ve never done a fund drive for InsideScene.com until now, though I had applied for a Chase grant last year (did not receive it) and my site has been in existence since 2013. I’ve never collected a subscription fee ever, though many news outlets do. The only offset this site has received financially has been some minor advertising for local businesses. But I’ve become a legitimate business in the area that people call on to help report on news and events. I’ve even been asked to participate in a journalism panel which I’ve talked about below. I get story requests all the time! I’d love to expand the site and hire other reporters and staff to work with me to build an even greater presence for InsideScene.com. Many who know me (whether personally or virtually), know me as the reporter with the camera they see about town, and/or a smiling presence on the Internet. Many like reading my stories and compliment me on them, as well as my site. And those who know me personally like me, and many are surprised how much I’ve overcome to get to where I am. · I’ve always loved writing and even as a little kid, used to spend time writing in my room, from fiction to poetry and everything in between. · My first written piece was published in my high school newspaper after an interview with our school’s business teacher. · Though I’d always loved writing, I was channeled into business and education from my elders because they felt that was where I belonged. After becoming a mom, I realized if I gave up on my dreams, what would that teach my children? I knew I had to be where I felt I belonged. My first accepted piece was in 2006 and my professional career took off from there. · I was hired by my first local news publication in 2008, only about a few weeks after I became a divorced mother. · Starting in 2009, I freelanced at a second news publication in addition to the first. · Starting in 2010, I freelanced for a third news publication, while juggling the first two, plus became an advertising consultant for one of those three. · I was the Media and Entertainment Award winner from the New Jersey Governor’s Council on Mental Health Stigma in 2010 for reporting objectively and sensitively about mental health issues. · I was award-nominated for my photography by one of those three publications that I worked for. · I’ve received award nominations from the Sussex County Chamber of Commerce and Sussex County Economic Development Partnership for my business and leadership example. · I assist local businesses and organizations in my area with PR and advertising, not just through my site, but on a consulting basis through Inside Scene’s parent company, JJ Avenue Productions. · I freelance for other sites, and currently write for two health sites. · I was just asked to be a part of a journalism career panel at Project Self-Sufficiency (PSS), an organization that someone led me to when I was just divorced (I am recently remarried). I am really honored to be a part of this and give back, considering I had a touch of time with PSS. I even took their career assessment test and came back with my strengths in journalism and public relations!· In 2013, I received a phone call asking me to be the vote count reporter for a Reuters/Ipsos collaboration in my county. The Reuters/Ipsos Election Reporting Program. In 2014, I was asked back as this program’s state director for New Jersey. I managed two region coordinators and about 24 vote count reporters. New Jersey was among the top two states in reporting accuracy, with our team up to about 4:30 a.m. contending with glitches from the field (equipment down in one of the board of elections, etc) and we overcame all obstacles to ensure readers were informed. · The world has opened up to me with other cool opportunities, including an appearance in the upcoming documentary film about Marilyn Monroe, What Ever Happened to Norma Jeane? I was also interviewed for a program to appear on the Oxygen network. Sorry, no spoilers! More info. coming once it’s officially announced.· I did all of this and more not only after being ripped off by that unethical partner, but as I’ve managed Crohn’s Disease/Ulcerative Colitis, a condition that can be debilitating at times…I was even hospitalized for the first time from it this past spring…but I do what I can to maintain a work/life balance and manage my time as best as I can. If you don’t know about this condition, I suggest you check out this article that recently went viral about Crohn’s (click here ). is inherited (though William has no direct living descendants). William’s mother Mary Shakespeare (my 12th great aunt/11th great-grandma’s sister) was reportedly an avid storyteller herself and his inspiration. More proof that writing is literally in my genes! So this leads me back to…why I’m here with this post. I’ve been very blessed with NJ Inside Scene. It’s been an opportunity for me to be very involved in the community and to touch lives. It grows by leaps and bounds every month. The communities that I serve have benefitted and turn to me in this totally independent venture, many coming to me with story ideas and requests. Also with requests to post information on the site, which I do for some non-profit organizations. And Inside Scene has no borders so I can offer quality stories that can stretch beyond my local boundaries. Some of you may have noticed last week I just posted a special note that donations can be made to the site. This is the first time I’ve offered this opportunity, as so many people have asked how they can help me to get the word out, and have told their friends about the site. I am so appreciative of the support and for being welcomed into the community. In turn, the community has become a part of InsideScene.com, which features news, local information, feature stories, weather information, promotions for businesses and more. What I’m offering is the opportunity to invite donors to become more involved with my site, and a special offer as a charter member. And I am appreciative for any donation. But there are perks for particular levels as explained below. Come join the newly planned Inside Scene Wall of Fame on the site as those who support local, independent news! Here, you will always be “on the scene with Inside Scene!” As a Charter Member, your name, or the name of someone you’d like to honor or memorialize can be on this site for a one-time cost of $10. After Dec. 31, 2015, this cost will remain the same but there will be an annual fee. For charter members who donate now, you will have your place perpetually at the top of this page for all time! Bronze Level Charter Members (donations of $10 to $50) for $10 per name, can have their name or the name of someone they hold dear in honor or memoriam, forever on the site. This can be a great gift idea to give someone you know for all time! A $50 donation can buy up to five (5) names. After your donation is made, we will contact you via email and ask you for the names…so be sure to include your email address in the donation! Regardless, we will send you a personal response once we receive your donation to confirm. Silver Level Charter Members – for donations of $51 to $75 can enable a person to list five names forever on our site’s “Wall of Fame,” including family members, those you’d like to honor, or those you’d like to memorialize. Plus, silver level charter members can have one “Biography Tile,” which can click to their own biography, or a biography of someone they would love to memorialize. After your donation is made, we will contact you via email and ask you for the names, so be sure to include your email address in the donation! Regardless, we will send you a personal response once we receive your donation to confirm. For the biography, we will send you a questionnaire asking for vital details on the person you’d like to honor on the wall of fame, whether it’s yourself or someone else. Please email this back and I will personally write a biography of approximately 500 words based on the questionnaire answers. Please also send us a .jpg photo to accompany the biography. I will email the biography back to you for your OK before it’s officially posted to the site! Gold Level Charter Members – for donations of $76 to $100, this entitles the charter member to up to the five names on the site under the Charter Member section, plus two biographies as described above in the silver section. This can be your own, or a biography to memorialize a loved one as discussed in the silver level charter member section above. Platinum Level Charter Members – for donations of $125, all of the Gold Level Benefits mentioned above (five names on the Wall of Fame, and two biographies – read more about the biography benefit in the silver section), plus an autographed copy of my book (which can also be personalized), Stanhope and Byram from Arcadia Publishing. Book can be shipped or if local, hand-delivered, and will be done so once ordered and received from the publisher. Please be sure to include your mailing address for this and it will be mailed to you when it’s available (this offer only available in the USA). Double Platinum Level Charter Members – for donations of $150, all of the Platinum Level Benefits mentioned above (five names on the site, and two biographies – read more about the biography benefit in the silver section, and the Stanhope and Byram Book), plus an autographed copy of my book (which can also be personalized), Marilyn Monroe & Joe DiMaggio – Love in Japan, Korea & Beyond. Books can be shipped or if local, hand-delivered, and will be done so once ordered and received from the publisher. Please be sure to include your mailing address for this and it will be mailed to you when it’s available (this offer only available in the USA). Triple Platinum Level Charter Members – for donations of $200, all of the Double Platinum Level Benefits mentioned above (five names on the site, and two biographies – read more about the biography benefit in the silver section, and the Stanhope and Byram Book and Marilyn Monroe & Joe DiMaggio – Love in Japan, Korea & Beyond), plus an autographed copy of my upcoming Marilyn Monroe book (which can also be personalized), anticipated for release within in the next several weeks. Books can be shipped or if local, hand-delivered, and will be done so once ordered and received from the publisher.Please be sure to include your mailing address for this and it will be mailed to you when it’s available (this offer only available in the USA). Thank you for your support of local news, and a family-owned and operated and woman-owned site…and InsideScene.com overall! 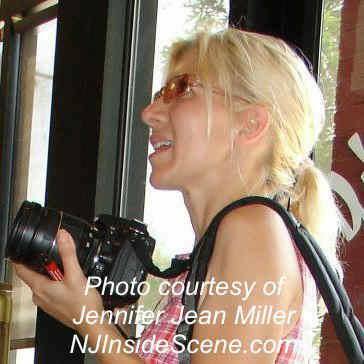 Please do not hesitate to reach out to me with any questions at: jennifer@jjavenueproductions.com or editor@insidescene.com. Click here to read more and access the fund drive on GoFundMe. To donate via PayPal, click the donate button in the column to the right of this story.